Do we really want to know what's out there? A recent comment raised some interesting issues regarding the relationship of the survey to starting research. The basic question is whether we really want to know what has been done previously, especially if what has been done is worthless, misleading, fabricated or all three? Does it really do any good for your future research to understand the background, if the background is trash? My opinion is that good or bad, right or wrong, you need to have a clear understanding of what work has been done on your family in the past. Why is this the case? As George Santayana said in his Reason in Common Sense, The Life of Reason, Vol. 1, "Those who cannot remember the past are condemned to repeat it." This quote is often misstated as "Those who ignore history are bound (or doomed) to repeat it." See Answers.com. However, even Santayana was borrowing the quote from Edmund Burke who said, "Those who don't know history are destined to repeat it." We could paraphrase this to apply to genealogy by saying, those who fail to do a reasonably exhaustive survey are going to waste time doing research that has already been done. So what if I find out all of my ancestors were charlatans and falsifiers? Who cares? Especially if I find out enough to know that the information in the book or on the family group record is not correct. In one of my last posts, I quoted Donald Lines Jacobus, saying, "Develop a healthy skepticism. Accept nothing unreservedly until proven." Jacobus, Donald Lines. Genealogy As Pastime and Profession. Baltimore: Genealogical Pub. Co, 1968. Electronic version from Google eBooks. Too bad that statement by Jacobus isn't given on a plaque to every budding and potential genealogist! But carefully note, he did not say to ignore anything. I certainly realize that there are a lot of careful and systematic researchers out there who can tell me all about the records in whatever city, county, country or continent they specialize in. But, even among that careful crowd there are still those who dismiss the work of others as not worthy of consideration. Let's suppose you run across a printed genealogy collection tracing the descendants of a remote ancestor. First, look at when the book was written. For illustration purposes, let's suppose it was written in the 1880s. Think about it. The people who were alive at the time this book was written could have been born as early as 1800 or earlier. Their parents were probably born around 1780 or so. Their grandparents were born in the mid-1700s. Why would you dismiss the information in the book out-of-hand just because you found some errors and poor to no citations of authority. They were alive when history happened. Extending that example, let's assume that you find some blatant falsifications. Why are they there? Who was so worried about the truth that they had to change the facts? Who benefited from the change? What can you learn about the family from the changes? Now don't get me wrong, I have been among the first to rail against the sloppy research evidenced in surname books, but on the other hand, we have found them invaluable, if for no other reason, than to identify people in old photographs. The mistake is ignoring what has been done entirely. So what if there is a whole line of copied errors. Now that you know the "true" facts, you can correct your own work and ignore the misstatements, but don't fail to find the records in the first place. Don't ignore the past. Researcher makes a cursory survey and overlooks a huge completely documented and sourced user submitted family tree of his/her ancestors. As a consequence Researcher starts plugging away at collecting U.S. Census Records and a few vital records from online sites. When did the Research begin doing research? Is an individual's research independent of the existing body of knowledge? What if I change my hypothetical so that the user submitted family tree is entirely complete but not documented at all? Does this change when a person completes a survey and begins doing research? Yes, these questions are similar to the old standby, if a tree falls in the forest and there is no one to hear was there any sound? (By the way, the tree question is a lot easier to answer, Sound is generated regardless of whether or not someone is present to hear it, the question is usually framed in terms of whether or not there is a "noise" which is intended to differentiate between a sound and a perceived noise. Even though there is physically no real distinction). The difference between the question about the research and the question about the sound are only superficially similar. Since completing a survey is usually considered part of the research process, just because you don't do an adequate job of surveying what has been done on your ancestral lines, does not mean that you are doing research. In another example, when a PhD candidate makes a proposal for the subject of a doctoral dissertation, it is necessary to show what research has been done already before the candidate is allowed to proceed to do "new" research. Now I readily admit that we aren't doctoral candidates and most of us never will be, but there is a fundamental principle here. The principle is that research, by its very nature, implies ploughing new ground. I speak from experience since it took me more than ten years to find out all of the information that was already known about my family. Even now, many years later, I do not feel secure that what I am doing is really adding anything to what is already known and recorded about my family unless I find something I know that no one has discovered previously. You may find yourself in different circumstances, with little or no information about your family and you may complete the survey process in a matter of hours or days. But the important point is, even if you entirely ignore existing information about your family, your lack of knowledge of what has already been done does not mean that you are finding "new" information and thereby doing "research." So, returning to one of the initial questions, when do you know you have finished your survey of existing information about your family? Looking to the Genealogical Proof Standard, it is when you have made a reasonably exhaustive search of a wide range of high quality sources. In my case, that took a long time and to some extent is still going on. Unfortunately, I often see people diving into original source records before making any effort whatsoever to ascertain what has already been done. No one instinctively knows how to do research. Just like learning to read or write, there are a certain set of skills which must be acquired in order to do research. When I was in high school, some of the classes I took had requirements to do research papers. I suppose the purpose of those assignments was to teach us how to do research. Unfortunately, no one bothered to explain why we would want to do research in the first place. In addition, the skills they taught, like making note cards, seemed absolutely worthless. I could never understand what I was supposed to do with the note cards and why I was wasting my time writing out cards when I was going to have re-write everything anyway when I wrote the paper. One notable research effort involved and assignment to research a battle of the U.S. Civil War. At the time I was in high school, you would be absolutely amazed at the total lack of reference material about the Civil War in the school and city libraries. I finally ended up using an article from the Encyclopedia Americana. Fast forward. If one of my grandchildren wrote a report and used the equivalent, Wikipedia, they would be marked down and probably fail. Part of my problem back then was understanding the concept of research. What is unfortunate today is that many of the people I work with in finding their ancestors have the same lack of understanding of the research process that I did in high school. They are still at the level of copying an encyclopedia article. As I found out over the intervening years, the term "research" is applied to widely divergent activities. I think it is sometimes easier to define what is not research than what is research. In the genealogical context, copying names out of an online user contributed family tree is definitely not research. 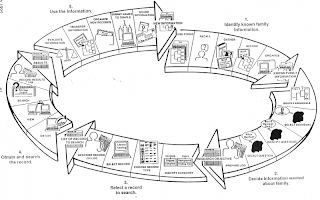 In genealogy, it is common to talk about the "research cycle" involving anywhere from five to sixteen or more steps. But before going into lists of "steps," it might be a good idea to have definition of research and what you are trying to accomplish before setting out on the journey through the steps of the cycle. Implicit in the concept of doing research is selecting a hypothesis or specific question to answer. Some people refer to "doing research" as if it were an abstract concept. But whatever the definition, research is an activity that requires results, positive or negative, but results. Looking at what others have already done i.e. the online user submitted files, is a part of what is usually called the survey step. This is what you do before you actually do any real research. Basically you need to know what has already been done. There is however a classic quote from one of the most famous American genealogists, Donald Lines Jacobus. He said, "Develop a healthy skepticism. Accept nothing unreservedly until proven." (Sounds like he would have done well in the 1960s). Jacobus, Donald Lines. Genealogy As Pastime and Profession. Baltimore: Genealogical Pub. Co, 1968. Electronic version from Google eBooks. I spent much of my life doing "legal research." The main purpose of this activity was to provide case law support for legal arguments made in court, mostly in the form of written documents. Although we use the term "research" in referring to what I did, the activity consists almost entirely of quotes to support your previously chosen position (or that of your clients). In legal research, the correct answer supports your clients' position. To this extent, legal research is not really research at all, but merely a selective survey. I once asked an attorney who was much senior to me in age and experience about a difficult legal question. He asked me in return, "How do you want the court to rule?" I told him what I thought and he said, "Then that is the law." In other words, I understood this to mean that by advocating a position, I could influence how the court ruled and thereby make the "law" under our English law derived legal system. Think of chaos in genealogy if genealogists had the same system of research and proof? You want to be related to Charlemagne? Just wait a minute until I come up with my version of your pedigree! In the case of scientific research it is imperative that the study comprising the research, be based on answering a specific question or proving or disproving a hypothesis of some kind. Genealogy is usually falls somewhere between the legal and scientific worlds. Although, I have found few genealogical researchers that had focused on their subject matter long enough to produce a coherent hypothesis, in the abstract and unlike attorneys, genealogists are trying to find out information they do not already know. But in some cases genealogists use "research" as they call it, to justify their belief that they should be a member of a lineage society or other such thing, just like attorneys doing legal "research." So what is research? (You might notice that I am repeating the question for emphasis and not senility). Basically, research is finding out something you don't already know. It is not justifying a position or belief you already have. Hmm. Looks like I probably have more to say about this subject. I had a few more thoughts on the subject of genealogical terminology. All particular professions or groups develop their own specialized terminology commonly referred to as jargon. Jargon is not the same as the commonly used term "slang. " What is or is not slang has no real defined meaning and may be entirely contextual. The existence of slang expressions in a specific language is entirely dependent on having standard or normally acceptable speech patterns and vocabulary. For example, English has the acceptable word, policeman but there are dozens, maybe more, slang expressions for a policeman, some more or less derogatory. Slang is often considered socially unacceptable in more formal situations. You may have had an English teacher mark down a paper you wrote because you used a slang expression. In the media, depicting characters using various slang expressions can be used to identify the character with a particular social level or group. Occasionally, a slang expression will pass into general usage and thereby lose its status as slang. The English language vocabulary and all other living languages, are constantly going through a succession of slang-to-acceptable speech transitions. The incorporation of slang expressions into the main stream of the language is one of the more obvious ways a language's vocabulary changes over time, with slang being one of the more innovative components of speech evolution. Slang is also different than an argot. An argot is a specialized vocabulary, commonly associated with a criminal element in the society and is intended to be exclusive or even secret in nature. When used by criminals, it is intended to prevent outsiders from understanding what is being said. See Wikipedia:Argot. Back to jargon. To repeat, jargon is distinct from slang. Jargon usually involves the use of specialized terminology to identify the speaker as a member of a particular group and thereby exclude other, non-participants, from the conversation. Jargon is also used to achieve status within a social situation. For example, a salesperson, attorney or doctor might use a large number of jargon expressions to impress a potential client. Both slang and jargon are used to exclude and privatize otherwise open groups. To some extent, membership in a group is defined by how well an individual can employ the jargon or even the slang of the group. Jargon usage is not like slang. Specialized jargon seldom makes its way into current speech patterns, particularly because those who use the jargon wish the language to remain exclusive. Some (most) medical doctors and lawyers (university professors, accountants etc.) are also particularly adept at using jargon to increase their status. Both lawyers and doctors argue that their language usage is mandated by their profession in order to be more precise. There is a component of jargon that reflects actual definitional distinctions but much of so-called legal and medical language is exclusive not inclusive. As both jargon and slang expressions find there way into the more common speech patterns they are usually abandoned by the people most likely to use them. Jargon terms may appear to be common words, but are used by the profession in a particular way, so as to appear to be more educated than the general population. A profession such as law, has a huge component of jargon and becoming a lawyer is to some extent learning how to speak the language of an attorney or lawyer. Jargon can also be used to enhance social distinctions. In the play, Pygmalion, Professor Higgins "reforms" Eliza Doolittle and moves her through the social structure based on changing her speech patterns and clothes. Now what does this have to do with genealogy? To the extent that genealogy can be considered a specialized interest or even a profession, it has its own jargon i.e. a tree, a family group record, a pedigree chart, and many, many other specialized terms. One of the hallmarks of jargon usage is that the members of the group are almost entirely unaware that they are using the jargon, thus it is distinguished from an argot, where the usage is specifically intentional. So genealogists speak of "brick walls" which have nothing to do with a wall or bricks and "end-of-line" that assumes the understanding of an ancestral line as expressed by a semi-standardized pedigree chart. Neophytes to genealogy can be stymied by the terminology. In the recent BYU Family History and Genealogy Conference a fairly high percentage of the presenters I heard used a high percentage of jargon, understandably, because the audience was obviously adherents and enthusiasts. On the other hand, the jargon used does have a tendency to discourage newcomers and reduce their level of interest, especially when genealogists are unaware they are using jargon at all. One peculiar problem with jargon is that not all the adherents to the profession or group understand the the terms used in the same way. I recently used the terms "brick wall" and "end-of-line" in a post and it was interesting to see how differently from my usage those terms were understood by the commentators. Who are you? Why do you care? Some years ago, I was visiting Nauvoo, Illinois in the middle of the summer. It was hot and humid (what did you expect?) 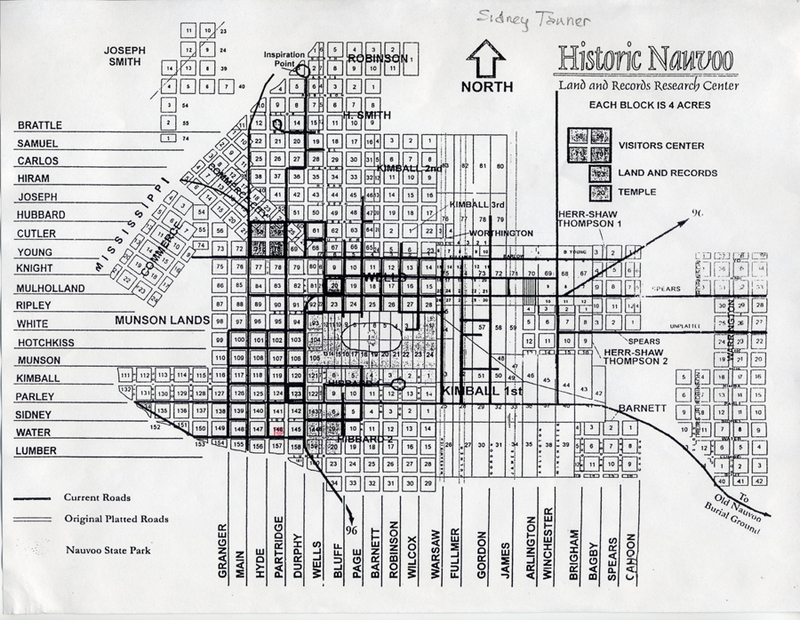 I went to the Land Office with its computer databases of the land ownership records of Nauvoo when it was one of largest, if not the largest city on American Frontier. We were in Nauvoo to dedicate a gravemarker to my wife's ancestors who had died on the banks of the Mississippi River and never made it across the continent to Utah or Arizona. I found the description of my Great-great-grandfather's property when he lived in Nauvoo. Putting on my genealogy hat, I copies the images onto a CD and put it in my pocket. Walking out the door of the Land Office, one of my wife's relatives, who I met outside (who are all my good friends) asked me if I was going to see the property? Oh, I replied, its hot and sweaty. Maybe some other time. Oh, no they insisted you need to go right now. Look its only a few blocks away! My 3rd Great-grandfather and most of his family joined The Church of Jesus Christ of Latter-day Saints in 1833 in Bolton, New York. He left New York with his family, including my Great-great Grandfather Sidney Tanner and traveled across the country to join the body of the Saints in Kirtland, Ohio (sorry, correction, I put Illinois). His sons were full grown and married with their own children. They were known a extraordinarily strong men. Willingly facing the dangers of the frontier and the anti-Mormon mobs, they traveled with the Saints from Kirtland to Missouri and back to Nauvoo, where they build substantial homes, ready to stay the rest of their lives. However, they, with the rest of the Saints were driven by the mobs out of their homes in the middle of the winter of 1846 across the Mississippi and out into the wilderness. They crossed the Plains to Utah and Sidney and his family ultimately moved to San Bernardino, California where my Great-grandfather, Henry Martin Tanner was born. Driven once again, this time by Johnson's Army, Sidney Tanner and his family finally settled in Beaver, Utah. Just after he was married, Henry Martin Tanner took his young wife and in response to a mission call from Brigham Young moved to a desolate spot on the Little Colorado River called St. Joseph, now called Joseph City. His son LeRoy Parkinson Tanner married and moved to St. Johns, Arizona where my own father was born and raised and where I lived as a child. As I walked through the heat and humidity of Nauvoo, I really wasn't thinking of any of this. I didn't think about Sidney as he crossed the Plains, losing his son, also named Sidney, when a wagon wheel ran over his head. I didn't think about how Sidney left the wife of his youth, buried on the Plains. I didn't think about leaving Nauvoo in the dead of the winter, crossing the freezing Mississippi to the nearly frozen Iowa wilderness. We walked down the now deserted streets of Nauvoo, only some of the restored buildings are still standing. I had been in Nauvoo a number of times to visit. It is a beautiful place on a big bend in the Mississippi river, across from Montrose, Iowa and just north and east of Keokuk. I had always heard about the Spirit of Nauvoo but figured it was only a manner of speaking. We walked down the wide straight streets and quickly found the corner lot where Sidney had lived. The only remains were a large hole lined with bricks that used to be a basement. As I stood on that corner looking at that abandoned lot, all I can say is all of the emotion and pathos of the history of these early pioneers came over me like a wave. I realized, like few times before in my life, exactly who I was and who these people, names on a pedigree sheet, really were. It brings tears to my eyes now, even years later, to think about the lives of those people who sacrificed so much. I now understand the Spirit of Nauvoo and although I am still making discoveries, I found my voice. Genealogy is not dead people, really, it is live people with real experiences. What in the world is happening to computers? Think of a computer. You probably thought of the iconic desktop computer with some kind of box, a monitor, a keyboard, a mouse and maybe a printer. If you are like me, you also thought of the huge tangle of cables running all over my desk and onto the floor. You may have also thought about a few other things, all adding to the pile and tangle; an external hard drive (or two or three), a speaker system, perhaps a scanner. All this is rapidly changing. You may have missed my note a few days ago about Hewlett Packard's (HP) abandonment of the PC market by selling its PC division. This essentially means that there may be no more HP computers sold. So why does the largest manufacturer of PCs abandon the market? The answer is simple, there is no longer a viable PC market. What is a "big box" computer? The term "computer" is very, very ambiguous when used to refer to any specific configuration of electronic components. If you are as old as I am, you can distinctly recall computers that were much larger than the house I now live in. These massive boxes of tubes and circuits took up whole floors of buildings and had their own cooling systems. The idea that these massive computers could be carried around in your pocket was not only impossible, it wasn't even science fiction. Not one science fiction writer even dared to predict that computers would become so pervasive that they would fit in hand-held telephone. What is more, almost no one could imagine the entire world instantly connected through a vast network of wireless communications devices. What is more, these devices have keyboards and screens and play new release full color movies on demand. It is tautological to say that computers are becoming faster and smaller. Of course they are. My grandchildren could not imagine a world where you couldn't pick up a cell phone and ask a question about anything in the world and get an answer in a few seconds. They also could not imagine a world where they couldn't talk to their friends or relatives while driving across the deserts of northern Arizona at 65 mph. But what is happening even more than these incremental changes is a complete re-orientation in the way computers are used and configured. Here are some examples. I don't have a computer and a monitor. I have a monitor that has my entire computer including a huge hard disk drive. You see, I have an iMac. Also there is no messy cable connecting my keyboard and mouse to the computer. Theoretically, if I could see that far, I could sit across the room and operate my computer. Also, when I walk out of the room where my computer is located, I don't leave it behind. I pick up my iPhone and have almost all the same programs and connectivity I have with my so-called desktop computer. If I wanted to spend a few dollars, I could get rid of almost all the cables on and under my desk. Using WiFi, I can connect to a printer, even if the printer is in another room. Using that same WiFi system, I can use my laptop computer anywhere in my house. What about the mouse? It is mostly on the way out also. Apple has a touch pad on their laptops that works without buttons. You click the touch pad. I have never liked touch pads and with my previous laptop computers, I always carried around a mouse to plug into the computer. No more. I love the touch pad on the MacBookPro and I am thinking about upgrading to the new Lion OS from Apple and getting a touch pad for my iMac. No more death grip on the mouse. These changes may seem superficial but there are more changes on the way. What about the iPad. You might recall that the media universally excoriated Apple for coming out with a "useless" machine that no one wanted. The latest news reports show tens of millions of sales with more millions upon millions predicted. Some people, like my wife, are moving away from the traditional desktop model of computing to using the iPad almost exclusively, yes, with a keyboard. Even some of my most conservative and least innovative friends are moving to iPads. They are showing up in some of the most extraordinarily unexpected places. So why did HP quit (or is going to quit)? Easy, they cannot compete with Apple. Right now, no one can. How long will Apple's initiative last? Only as long as it take Google to make computers. Oh by the way, have you heard of the Chrome Computer? So what does this mean to genealogists? We are consumers of computers whether we like it or not. For my part, my iPhone/iPad/iMac/MacBookPro combination has fundamentally changed the way I work. But what is more, WiFi has liberated me from the wires. I can now sit in the Family History Center and work on my own computer without paying a connection charge. Because of programs like DropBox, when I get home the same document I just worked on is on my iMac (and my iPhone and the iPad). I can drive to Salt Lake and sit in a conference and have the same documents I have at home and when I get home, I don't have to "transfer" anything, it is all updated automatically. I could go on and probably will, but not right now. Analyzing Brick Walls -- a genealogical myth or reality? Whenever I talk to a genealogical researcher who complains about being unable to find information about an ancestor in the United States, I sometimes ask an impertinent question, "How did you like the New York Public Library?" Most of the time this question receives a blank stare. No one has yet to say something, like, "I spent several days there and could not find anything." Why would I ask such a question? Simple, the New York Public Library has one of the largest, if not the largest collections of genealogically related records of any library in the United States. I am fully aware of the claims of the Family History Library in Salt Lake City, Utah and have been there many, many times, but even with the Family History Library's huge collection, they do not have everything. The reason for the question about the library is that almost all of the complaints I hear about dead ends or as we call them "brick walls" come from people who really haven't begun to exhaust their research possibilities. I use the example of the New York Public Library for exactly that reason. I am also aware that almost every blogger in the entire world has written about this topic at some time or another. I quick look on Google with an advanced search for the exact phrase of "brick wall" and including the word genealogy returned more than 2 million results. So why would I want to add to the pile with my two cents worth? Probably because so many of my conversations with patrons at the Mesa Regional Family History Center and else where start out with this question. Let me give my definition of a "brick wall." I consider a brick wall to be a researching situation where records should exist and a person should have been recorded, but for whatever reason is not found and records are not easily located. This rules out the end-of-line situations where you can no longer find records back in the 1500s or so. My impertinent question about the New York Public Library is really rather important. The main point is that researchers have a tendency to focus on one person or one family, one place or one type of record and don't realize that the type of record is sometimes irrelevant to where information about the family may end up being found. The real question is whether or not some kind of written record is likely to be found at all? Genealogical research is not so much a matter of procedure, it is more a matter of recreating history. Finding all of the information about a place and time that will allow you to reasonably locate your family in that space and time. But let me say a few things that may not have been said before. First, all of the so-called solutions to brick wall questions revolve around the issue of extending research. A good example is the one from Lorine in her blog cited above about her husband's research efforts and that example is from Ireland which is a classic place for losing people. There is a vast difference in time and place between Ireland in the early 1800s and any place in the United States. Focusing on the time frame, there are very few real brick walls in the 20th Century United States. There is the occasional man who leaves his family and disappears, but most 20th Century problems are solved by expanding the research. There are usually more records than anyone has even tried to find. 19th Century United States records are still mostly available. Problems in the 19th Century usually revolve around looking in the wrong place or trying to find an immigrant's origins. 18th Century? More record problems but a lot more immigrant problems. Once you get back to the 1600s (17th Century) things start to get interesting. There may or may not be any records. You may actually reach an end-of-line which, as I said above, is not the same as a brick wall. Slaves and indentured servants sometimes left no records of their origin. Before the 1600s records of individuals start to disappear and you may have to learn a new language or culture to make any headway. But you say, what if my family came from Zaire or Zimbabwe? Well, that is another story. I don't consider research like that to be a "brick wall" situation. There may or may not be records. I any case finding your ancestor may require you to learn a lot about local history and geography, probably a lot more than you thought you wanted to know. 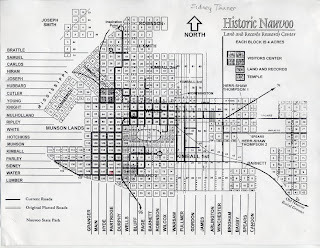 Unfortunately, when I begin to explain to researchers with their own personal brick wall that they need to start reading local history and study geography, they usually find a reason to talk to someone else. With all the emphasis on online resources, especially large genealogical databases like Ancestry.com and FamilySearch.org, it is easy to forget that there are still overwhelmingly large libraries in the world. Why not start out with the largest of them all, the Library of Congress (LOC). I have spent nearly my whole life referring to and using the resources of the LOC. Part of the way I put myself and my family through undergraduate and graduate school was to work in the University of Utah Library as a bibliographer. We used the LOC Catalog every day for years. One of the huge advantages of the digital age is having those resources made available online. The LOC is now part of the World Digital Library, a collection intended to preserve the world's entire cultural heritage online. One of the really fundamental questions is whether or not the collections are "helpful to genealogists?" This is really the wrong question to ask. Genealogy incorporates everything about individuals and families. If anything, genealogists are generally restrictively narrow in their investigations and fail to see the family in the overall historical and geographic context. If we, as genealogists, ignore the larger historical and cultural context of our research, we will continually be making decisions in a vacuum and failing to incorporate pertinent information into our family's history. Genealogists tend to study and research their families as if they were bugs in a display case rather than getting out into the jungle to understand the full context of their lives. How many so-called brick walls would fall if the researchers concentrated on the time and surroundings of the research objective and forgot trying to find specific information? OK, back to the LOC. Numbers of digital images are meaningless unless you get into the collections and see and hear what they have to offer. But of course numbers do motivate. 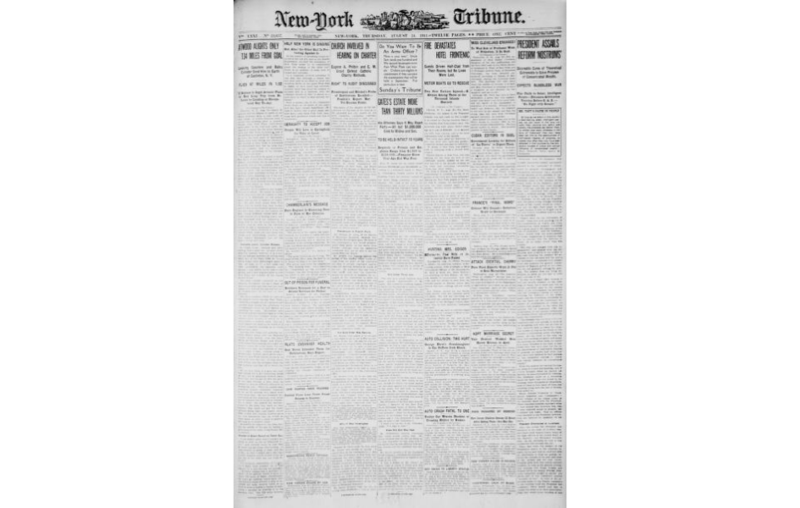 For example, currently, the LOC has 3,999,267 pages of digitized newspapers. Searching on my surname, Tanner, I found over 100,000 items. By adding the term "Arizona" I got 60 articles, some about my ancestral family members. I found an interesting story about an amazing example of tracking a horse rider through the desert to find a relative who had committed suicide. The article is entitled Crazed by Experiences in the War, Young Utah Man Suicide on Desert Northeast of Flagstaff. You never know what you will find. If you want to be amused, amazed, educated and enthralled, then spend some time at the LOC website. The group who left OpenOffice.org development founded a 'vendor-neutral' group, known as The Document Foundation. The Document Foundation then began to develop an alternative to OpenOffice, known as LibreOffice. Unsurprisingly, the software suite is free, and is based upon the OpenOffice source code. Ars Technica provides coverage of how Oracle intends to progress without the OOo software in its arsenal. LibreOffice is the new alternative, although there are several other opensource programs available online. LibreOffice has adopted the OpenOffice format and has a word processing program, a spreadsheet, a presentation program, a drawing program, a database and comes with pre-made templates. LibreOffice recognizes and supports all of the OpenOffice file formats as well as a huge list of other file formats. I found no trouble at all opening .ods and .odt files. I must admit that I had some stability issues with the OpenOffice program and had switched to Microsoft Office, but I am always looking for alternatives and LibreOffice appears to fit the bill. If you have OpenOffice on your computer, you need to know that the program will no longer be updated or supported. You may wish to consider switching to an alternative and LibreOffice is possibly that alternative. One of the benefits of working directly with researchers is the opportunity to hear a lot of stories about families and the difficulties in finding records. This last week, I was helping a lady who was looking for her immigrant great-grandfather. She had already found the family on the 1920 U.S. Census but didn't know where to go to find his parents. I suggested that she look at the Census pages both before and after the sheet she had found. She immediately found a family with the same surname that was very likely her great-great-grandfather. The point of this story is that researchers often look in the obvious location but don't know what to do if the information they are seeking is not immediately available. This researcher's problem was that she did not know how the Census worked. She didn't realize that the enumerators would go up and down the streets and that it is common to find families living in close proximity. The key here is knowing about the records. Regularly, I run into another problem that has the same set of issues, that is the legendary court house fire issue. My most common initial response when someone complains that they cannot find their ancestor because the court house burned down, is to point out that if the county court house in Maricopa county burned down, I would not lose any records at all. This is the case for the simple reason that Maricopa County does not store its records in the court house. In any event, the only records stored in the court house, even when there were records, were those dealing with court cases. Sometimes, I realize, in smaller counties, many types of records may have been stored in the court house, such as tax and real estate records. But my comment, though impertinent, is valid. Simply finding out that a court house burned on such and such a date tells us nothing about what records were lost or whether the lost records were ever reconstructed. Let's take land records for an example. Suppose all or part of a county's land records were destroyed. There are a few things that are obvious, first, the loss of the records in no way affects the ownership of the property. The land owners still own their property and if they go to sell their property, then the records will have to be reconstructed, usually from deeds in the possession of the landowner or from substitute deeds. What about court case records. True, a fire may destroy the case records and there may be no need to reconstruct any of the records. What about vital records, birth, death and marriage records? The question is whether or not any of these records were even maintained during the time period the court house burned? To see when and where these records were kept, you can consult a resource like Everton, George B. The Handy Book for Genealogists. Logan, Utah (P.O. Box 368, Logan 84321): Everton Publishers, 1981.The latest version is from 1991, but the information is still valuable. Online, you might try the FamilySearch Research Wiki for the state and county records information. Don't wring your hands over records that are lost that may never have been in the court house in the first place. In short, a burned court house does not mean that the records you are looking for were burned. The fire did not destroy all of the records in the county, there are still newspapers, private records, church records, school records, town records, directories, and on and on. In fact, many of the stories of burnt courthouses are inaccurate or simply myths. Sometimes the records were transferred to another courthouse or to the state and subsequent staff members assumed the records were lost or destroyed. Here is an interesting analysis in the West Virginia Archives & History News that talks about the myth of the courthouse fire. Similar articles could be written about every state. For example, see the Tennessee Secretary of State's Lost Records: Courthouse Fires and Disasters in Tennessee. But also look at the Earliest County Records list showing which records are available in which time periods. Failing to do more research by reason of a courthouse fire ignores the fact that many of the records, even if lost, can be reconstructed from other sources. A courthouse fire does not end your research. I can relate to the piles and piles of paper generated by years of genealogical research. I estimate that I have about 20 bankers' boxes of paper and photographs in my working files and another 30 or so in file cabinets and storage. I have been scanning for years and the current document count, including photographs, is 89,608 items comprising 640.4 GB of information and I am only about 1/2 or less done with scanning the paper documents. Not all of this is directly related to genealogy, but almost none of it includes the hundreds of thousands of documents I created as a trial attorney. Some of the documents do deal with business matters however. I seem to acquire documents by the thousands, rather than one or two at a time. I was just at a family reunion and spent about three hours scanning and photographing documents as fast I could. I got about 3.5 GB of scans done and have yet to look at all the photos. The real issue is whether or not I will be able to organize all of this stuff during my lifetime. That is not an exaggeration, it is a real concern. I find I am limited to working about 14 hours a day and even at that rate, I may not get even a small amount of my genealogy "finished" what ever that means? 1. Don't stress out looking at the piles. You can only do what you can do, so don't get sick over what can't be done. You will just end up spending energy on worry and not on working. 2. Decide if you are actually going to dedicate the rest of your life to genealogy. No, I am serious. Are you ready to do genealogy, not just as a pastime, but as a major full time occupation? If you have a huge pile of documents, journals, photos and whatever and have no interest in doing genealogy, then advertise in your family and find the obsessive genealogist who has a higher level of pain tolerance. Give him or her all the boxes and go do whatever it is that you think is more important than genealogy. (Do you detect the hint of disdain in the writing?) Really, there are some of us who would think we had died and gone to heaven if we got a bunch of documents to work on. 3. Be systematic. Don't think in terms of huge piles, think more of small projects strung together. Think, I am going to scan this series of scrapbooks and then I will move this box into the closet. Once that is done, I will work on this small box of old photographs. Once you have completed one job, put it out of your mind for a while. Try and work the jobs in between doing research and analysis. Help someone else with their genealogy, then come back and work on the piles again. When I used to cut the Bermuda grass around our house in Phoenix when I growing up, I believed that the grass was growing so fast that by the time I finished the yard, it needed to be done again. Genealogy is like that, you think you might be getting done with some small part and then discover another box your thought you had already looked at. Just keep picking away at it and you will soon have a huge number of documents to name and add metadata to. 4. Have someplace to work that gives you a view to the outside. I have to watch the sun cross the sky every day, even if I never get to go outside and see it in real life. I went outside once and I don't see that it did me any good, so I came back in to work. Look, think about it. As I write this post it is 112 degrees outside. Why would I want to go outside anyway? 5. Think about the money value of your time. Spend some time looking into faster scanners and faster computers. When possible use a digital camera to record documents that you need only for the content. 6. I read a statement in an ad for an alternative computer that said something like computers were supposed to make our lives simpler. What??? Where did that come from? I have never thought that computers made anything simpler, faster, more accurate, more information, more productive, a lot of things but none of them equate to simpler. The only way to make a computer simple is to turn it into a toy. iPhones and iPads may be very attractive devices but they are anything but simple to use. But here is the point, use and treat the computer as a tool and learn to use it well. The more you know about your computer, the more time you will spend doing work and less time hassling with the computer. 7. Finally, use the computer to organize and store information. That is what it was designed to do. Don't spend needless time trying to organize the documents before you scan them. Use the computer to organize and find the documents. I realize that this post may not come across as very serious, but I am very serious about dealing with huge piles of documents. When you get down to it, it is a lot of work. Fast machines can help, but you still have to put in the time to organize and add the metadata to your files. For most of my life, I went to the library frequently. During some periods, almost every week. As I got older and more saturated online, my reading for information was addressed more by online sources. As the technology finally developed, I began reading again, but this time online. I have read dozens of books on my iPhone and have more lined up to read. I find that I can read at odd moments and get a lot of reading done by using time that I would be otherwise lose. This is also a way to read genealogy books. All most all my news and weather now comes over the iPhone. 1. How can you see to read? Isn't the type too small? The answer is very simple, the screen size has nothing whatsoever to do with the text size. All of the programs I use for reading allow me to adjust the text size, so that what I am seeing on the screen is the same size as text in a book. 2. I can't stand to look at a screen, it make my eye buggy. How can you read on the screen? This issue comes from the old TV type CRT screens that had interlaced scanning. That means that the cathode ray tube (hence CRT) sent out a beam of electrons to make the image on the screen. The beam only scanned every other line and then went back and filled in the missing lines. The screen images tended to flicker in fluorescent light and were very tiring. LED and LCD screens do not flicker. There is no real difference between reading a book on a small iPhone screen than reading one in a book. Now, as I say this, I am certain that there will be a lot of people who will swear otherwise. My question to them is how many of you read paper books? 3. I like to have the real book in my hands. I can't stand to read online. I like paper books also, but I also like the light weight and mobility of reading on an iPhone, iPad or whatever device. I don't tend to read books on my computer screen with my desktop computer, simply because when I am at my computer, I am either researching or writing. I can't argue with the person who just prefers paper books. I don't think books will disappear anytime soon, so you can keep on reading the way you like. But don't dismiss reading on an electronic device simply because you want to be traditional. 4. I can't afford to buy books and it is too much of a hassle to go to the library. Online books were made for you. The number of free online books is now in the millions and millions on every conceivable subject. The cost of the books and the time it takes to obtain one are no longer an issue. Just a last note, I use iBooks, Google Books, eReader, Stanza, and Goodreads to get books online. We understand that many of our users love the naturalization records, vital records, census records and city directories found on the site – and all of those we’ve produced will continue to be available on Fold3; but our parent, Ancestry.com, has a fantastic site with an enormous number of naturalization records, vital records, census records and city directories already available and many more being added constantly. We encourage everyone to visit the Ancestry.com site for records beyond what we have on Fold3. There is a very, very large number of military records yet to be digitized and made available online and we are increasing our investment in content production to accelerate the pace of content growth on the site. By focusing on military records, we know we may disappoint some users who wanted to see another copy of US Census records produced or additional city directories, and so on; but we believe we are more likely to succeed at exceeding users’ expectations if we clearly communicate our focus and stick to it rather than trying to excel in creating an optimal user experience for dozens of different types of records. I happen to think that this translates into -- we thought Footnote.com was too good of a competitor and so we are dumping them into obscurity. First we change the name, then we quietly limit their content so no one wants to look at the site anymore. Oh, you protest! But Fold3 will have a fabulous military collection. Great if you ancestors happened to be in the military. But what happened to the National Archives? Other comments have related to whether or not existing partnerships or integration points would continue to function as they do currently, with the FamilySearch integration being mentioned in a couple comments for example. All existing links and integration points are still functioning as they did previously (although it will take some time for all of the text on various sites to be changed from Footnote.com to Fold3). We have no plans to remove any of the linkages between FamilySearch and Fold3 and are very happy with that integration and similar integration points with other sites. RIP Footnote.com. Not one word about the National Archives, very interesting. Who is going to digitize all of the Indian Agency records, the immigration records, land records, and on and on and on? Ancestry.com changes the format, name and emphasis of Footnote.com to a "new" site called fold3.com (yes, it does not have a capital letter at the beginning, but neither did footnote.com). Hewlett-Packard to spin off its personal computer business. Yes, this means that there might not be any more HP computers on the market. What does this mean if you already own one or just bought one? 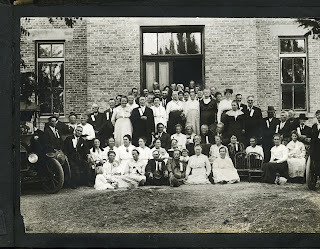 FamilySearch.org keeps adding millions of records with images with many millions added just since the first of August, 2011. Wal-Mart said same-store sales at its U.S. discount stores, by far its largest business, fell 0.9 percent in the second quarter, the ninth straight quarterly decline at domestic stores open at least a year. See Yahoo Finance. Target reported second-quarter results Wednesday morning that included a solid rise in same-store sale, in contrast with rival Wal-Mart. What do all these things have in common? They are all the results of business strategies, market conditions and corporate goals. In the case of Ancestry.com's move with Footnote.com, this is a purely market oriented and business organization move. Ancestry.com may have any number of motivations for the change, but none of them are based on what is best for the genealogical community, only what is best for Ancestry.com. By the way, I had it pointed out to me that the change may have a dramatic impact on member pages and memorial pages on the "new" fold3.com. It remains to be seen what will happen to all of the non-military records presently on fold3.com. Will they move to Ancestry.com? Or, what is possible, Ancestry.com will create yet another subscription service and thereby another income stream. These decisions are not considering the impact on the genealogical community. So how is that related to HP, Walmart and Target? Target has started a new campaign to sell more food items through their stores. Apparently, the program is working. Does that have anything to do with your own food purchases? Are you now more likely to go to Target than you were before? When you go to Target will you buy your food there, instead of at the local supermarket? Did Target make this decision based on your own interest? Both Walmart and Target are seeing an impact from basic changes in the economy and changes in markets. HP is seeing the same thing. Desktop computer sales are down and there has been a dramatic shift to Apple products. HP introduced a tablet computer with a huge ad campaign just a few weeks ago and now, announces that the tablet will be discontinued. Too bad if you bought one. Too bad if you signed up for a Footnote.com account. So what does all this have to do with FamilySearch.org? Even though FamilySearch is a non-profit organization, it still has a business strategy, it has to take into account market conditions and it has corporate goals. Fortunately, those goals coincide with the major interests of the genealogical community. Also, fortunately, FamilySearch is really trying to further genealogical research by making records more available rather than less available and at a higher price. But FamilySearch has strategic agreements with Ancestry.com and some of its record images are on the now fold3.com. So what happens with fold3.com will ultimately affect at least some of the records on FamilySearch.org's Historical Record Collections. So market conditions affect large corporations in some of the same ways they affect you and me. It will be interesting to see what develops. There may be a lot more later. I am beginning to feel like if I hear about something ten minutes after it happens, I am already listening to old news. A number of blogs posted about Ancestry.com's announcement of a name change for Footnote.com to Fold3.com. I appreciated the references to to the name of the site and its significance but I, among others, see a huge problem here. I have always liked the collections on Footnote.com and I especially like their interface. I was very sorry to hear that it had been gobbled up by Ancestry.com. I was hoping that Ancestry.com would take hint from Footnote and move towards a more useful interface. But alas and alack, there is no justice. What happens to Footnote.com's agreement with the National Archives to digitize ALL of the records? Does this mean that Ancestry.com will put the non-military records into their already huge database or simply ignore the non-military records? Many bloggers asked the question about what happens to the existing non-military records, are they, like an old soldier, just going to fade away? I too spent years in the military. I also studied military history in my first round of university studies. I have more hours in military history than any other subject. But I am foremost a genealogist and very, very few of my ancestors served in the military. So why should I be happy about the change? Simply because I am patriotic? What if I live in Iceland or England or Scotland? There are obviously a lot more questions than answers. I have a lot to do today and will get back to this subject tomorrow. Back on 21 November 2008, I posted my first Genealogy's Star blog post entitled, "Check out the FamilySearch Wiki." It was pretty terrible. Thinking back, I believe that the main problem was that I didn't realize I was writing to real people. I had almost no experience at the time with the interactive nature of the online world. I had never seen or attended a Webinar. I had no real experience with Skye, Facebook and, of course, Google+. I had never met another genealogy blogger and had read very, very few genealogy blog posts. I had even less experience with my topic, the FamilySearch Research Wiki. If I remember correctly, the Research Wiki only had about 800 or so articles. But on reflection, it might have been nice if I had been a little more expressive about why the Research Wiki was an important resource. It was like I was afraid to say anything back then. Today, the Research Wiki is almost an all consuming passion with me (balanced, of course, against all the other genealogy stuff I am involved in). I guess I regret that none of that passion was evident in my early blog posts. With over 61,000 articles and a whole world of information, the Research Wiki is an entirely different type of resource than it was back in 2008. I would hope that my blog posts have come down the road a piece since then also. One feature of both the Research Wiki and blog posts is their immediacy. Once you have entered your ideas into the computer, one click of the mouse sends that post on the blog or wiki out to the world. I can imagine that many people are not comfortable with immediately losing control. However, in both venues the immediacy is mostly an illusion. I can spend all the time I like developing a blog post or writing content for the Research Wiki before publishing the information to the world. But if you are going to do much posting, you will soon learn that retrospection is severely limited. You basically have to learn to live with what you write. In the case of the Research Wiki there is a whole hierarchy of moderators and support volunteers that maintain the integrity of the content. In the case of blog posts, I have my whole readership that is more than willing to correct me if I slip up. Fortunately, my readers are more generous with my grammar and word choice and make few comments unless my mistakes are misleading. Back to that first blog post. I now feel really bad that I didn't spend some time with a little more expression of enthusiasm for the Research Wiki. At that time the Research Wiki sort-of blended into the background of the rest of the online resources such as RootsWeb and Cyndi's List. Let's take Cyndi's List as an example. Checking on that website today shows that she has 307,865 links in 186 categories with 7881 uncatagorized links. Since those early days, the Research Wiki has grown into a major resource. But here are some interesting details. On the Alexa website for web information, FamilySearch.org is ranked 8,595 globally among all websites. But the Research Wiki only get 1.5% of that total traffic with FamilySearch.org getting between 8000 and up to 10,000 visitors a day. Quantcast.com shows the Research Wiki site with about 12,000 visitors per day and FamilySearch.org with about 150,000. Interesting that the statistics from the two sites are so different. Quantcast seems to agree with Google Analytics so I usually go with Quantcast. It looks like both my blog and the Research Wiki have a lot of room to grow. If you have digital images and documents on your computer, you are automatically a candidate for learning about the subject of personal digital preservation. To add to all the other burdens of modern civilization such as whether your wash is clean enough, your teeth bright enough and if you floss daily, there is now one more thing to worry about. Will your digital files survive the collapse of civilization? Actually, digital preservation is a real issue. The reason I suggested it was linked to the collapse of civilization, comes from someone I was talking to recently. This may seem like a completely unrelated issue, but my wife and I have been discussing getting rid of our land line and switching over to just cell phones. At the same time we would get rid of our obnoxious cable TV connection and thereby save enough to help pay for the extra cell phone service. One of my relatives suggested that getting rid of my land line would be a bad idea because supposedly, the cell phone companies (I assume AT&T, Verizon, Sprint etc.) do not have backup systems in place so if a catastrophe wipes out all the cell towers in the area, we would not be able to call because there was no backup. Of course, he could not answer with any precision as to what kind of catastrophe would happen in Mesa, Arizona to wipe out cell phone service, so I just chocked it up to the end of the world. I guess my question is, why do I need a cell phone or a land line if the world just ended? Now the implausible tie-in to the subject of digital preservation. Individually, we all think of data loss as occurring with some kind of catastrophe, like a computer melt-down or our house burning down. Actually, digital preservation is more like termites and dry rot. Loss of data takes place over time and with small incremental changes, not the end of world. Although the end of the world or civilization will suffice if necessary. For example, unless you are totally disconnected from the world of electronics, you probably have heard some vague announcement about Apple's newest operating system, Lion OS X. But don't feel too bad if you haven't heard about the release, most of us are putting such things into the general background of things we are not really interested in. (Except those hyper types like me, of course). So now what does Lion OS X have to do with digital preservation? Everything. How many operating system changes have there been to Apple's systems in the past ten years or so, not even counting going back to the intro of the Mac twenty years ago? Just in case you don't know, there has been Cheetah, Puma, Jaguar, Panther, Tiger, Leopard, Snow Leopard and now, Lion. Is this something you need to know? Yeah. Because with each operating system change, there have been files and programs that have been rendered inoperable or become closer to inoperable. Oh, but you say, I have a PC and that is Apple's problem. Hmmm. Not so. How about the following list: Windows 1.0, Windows 2.0, Windows, 3.0, Windows 3.1x, Windows 3.2, Windows 95, Windows 98, Windows NT 3.1, Windows NT 3.5, Windows NT 3.51, Windows NT 4.0, (in the interests of saving a few bits I will skip ahead to the main changes) Windows 2000, Windows XP, Windows Vista, Windows 7 and so forth. See Wikipedia:List of operating systems. I personally know people who are using Windows 95 on their computer. Until recently our local (not Mesa Regional) Family History Center had Windows 95 on its computers. Metaphorically, changing an operating system is like the end of the world. Only, with the change there is always some backward compatibility. So when will the operating systems for PCs change again? Try next year. Operating system changes are almost always a result of hardware changes so you can see that there has been a steady change in the types of computer hardware as well as software. Let's translate all this into English. If you don't keep up with the changes and constantly migrate your software and files, you might as well have been a victim of the end of the world. That's it. As simply put as I can say it. If you are still using WordStar with Windows 95 on an 8086 processor machine, your days are numbered. Everything on your computer is at risk of loss. There is hope. It takes time and some monetary investment. You need to keep your computers and operating systems reasonably up-to-date. You need to review your old archive files periodically, no less than once a year, to see that they are still viable i.e. can be opened by current programs. You need to keep moving your data to new hard drives and other storage devices and not leave orphan data to rot on the vine. Probably a lot more later. Some of my first introductions to the field of genealogy were several books of compiled genealogies of my family. These were all thick hard-bound books with very poor photos of family members. One of the books had been compiled by my Great-grandmother. In another case, the book was written before I was born, but during my younger years, my father participated in publishing an updated book about the family. These were all what is known as descendency books, that is, showing all of the descendants of a single ancestor. In addition to lists of family members, all of the books had a narrative section at the beginning telling the "history" of the family going back several generations. In one case, a Tanner book, showed a coat of arms for the Tanner family from England. Since I had no other contact with genealogy, these books were treated as the Truth (with a capital T). Despite this attitude, as I grew older, I heard some criticism of one of the books, that is wasn't as accurate as it could be and that the author had "changed" some of the less desirable facts about our relatives. From time to time, I would look at these books, mostly to see how I was related to someone or to see where my name appeared in the books. If this were the usual genealogy story, I would now relate how my interest in genealogy was sparked by these wonderful books full of stories about my family and how I owe all of my present interest in genealogy to these books!! Not. Actually, the books were a major hindrance to my genealogical interest. The books gave the impression that all the genealogy was DONE and there was really no reason to do any more investigation. The story of how I finally came around to doing genealogy will have to be told some other time, but needless to say, I did not become interested in genealogy because of these books. As I started the research on my family, one thing became clear. The books were not always reliable. For example, relatively early, I traced my Tanner ancestors back to the 1600s in Rhode Island. The first Tanner in the line, William Tanner, appears in America about 1680. However, there is yet no evidence tying him to anyone in England. There were no nobility in this line and there could not have been a valid coat of arms. It turns out there are several Tanner families in America and none of them have any proven connection to the others. As I got involved in doing research I became more and more disenchanted with these family histories. None of them had even the semblance of source citations and there was no way, other than doing original research, to verify or refute the information in the books. Two of my lines came from Denmark. I discovered that every single reference to my Danish ancestors had place names that were entirely inaccurate. I had to reconstruct the entire line person by person to establish the correct birth, death etc. locations in Denmark. I guess you can say that I became entirely disillusioned about compiled genealogies. As I did more research, for other families, I did find some very fine compiled genealogy books with extensive citations. I could only lament that my own ancestors had not taken the time or made the effort to produce a similar product. So now, years and years later, I find myself going back to these books from time to time. Whenever I need a quick reference to show a relationship or explain some obscure detail of the family. Do I now think the books are acceptable? Not really. I am still disappointed that they do not have any source citations. I still question the accuracy of the entries and especially question the accuracy of the narrative histories at the beginning of the books. I have still not verified or incorporated all of the family information in the books into my own files. I have been slowly adding the families as I am able to find source documentation to substantiate the information in the books. Should you look for a compiled genealogy about your family? The answer is absolutely yes. You are missing a great help to get started. But one thing is clear, especially in my case, even with now seven books, most of my line is not adequately documented. There is still a lot of research to do and the lines are far from DONE. Where would I look first? Almost every source on beginning genealogical investigation urges the beginner to start with his own records and those found at home. Before starting your search, I suggest looking at the FamilySearch Research Wiki. You will probably end up searching your own home for records, but I think it is important to get some basic instruction before gathering records. You may not even recognize a valuable record unless you have some understanding about what you are looking for. The first pages I would look at and study would be the Principles of Family History Research. You can use that page to find the link to Identify What You Know. These pages are not long discussions, but rather, they show links to even more pages. As you click on links in the Wiki, you are actually filtering your search. Each time you move one level down in the linked pages you have effectively filtered out other pages of less interest. An alternative way to enter into the Research Wiki is through the page How to Guess Where to Start. This is a slightly different way of approaching the same topic. Here is another page entitled, How to Begin a Search for Your Ancestor. If you don't like to read all that much, you can find quite a few videos online both free and fee based, that will help you get started. For example, The Midwest Genealogy Center has a video that is called Beginning Genealogy by Ellen Miller. You might also try Tips and Tactics from 50 Years of Research by Gary R. Toms. Another helpful article is Guessing the Easiest to Research Person and Event. I am the kind of person that usually opens the box, starts to put together the product or get it running and then, after running into problems, finally looks at the instructions. You can do genealogy the same way, jump in and try to find someone, but without some preliminary instruction, you are likely to spend considerable time plowing a field that has already been plowed. I must also admit that I spent more than a few years doing genealogical research before I attended my first conference or even opened a book about genealogy. Unfortunately, some of the work I did back then was as disorganized as you would probably expect it to be. I guess I feel some kind of responsibility to try and get others over the hurdle of beginning in the right way and not having the same set of problems I am still trying to solve. There is even a page in the Research Wiki called Rookie Mistakes. All I can say about that article is that it sounds like a description of me about twenty years ago. I still find a great deal of resistance to technological change even among those who profess an interest in genealogy. We were at a family reunion this week and sharing information with relatives. They had a large table set up with photocopies of various documents from the family and a few original documents. With few exceptions, none of the documents were digitized and therefore available by file. I spent a couple of hours digitizing journals and other documents that had not been shared in any other way. In one case, the relative had a transcribed copy of several journals and indicated that he had the files on his computer in Word Perfect. We spent a lot of time passing out cards with our e-mail addresses so that we could share the digitized documents we had and obtain copies of other documents we did not have from family members. No one except me and one other relative had computers available. No one had flash drives, no one had their e-mail address ready to share, no one had a website or blog. It was very interesting. It was also interesting that family members brought priceless artifacts from the family's history. In one case, there was a photo of a walking cane used by an ancestor, but the location of the original was vague and in another case there was a flute played by a remote ancestor in the Nauvoo Band as the ancestor crossed the Plains to Utah. The photo was helpful, but I took several photos of flute. You can't blame all of the issues with the failure of the family members to share information and artifacts in digital form on age. Although there were a few older members of the family present, most of the people at the reunion were younger than we were. There was really only one other family member who was prepared to share research or history electronically and even she was unaware of DropBox or other methods of easily transferring files. I ended up with about 4 or 5 GB of scanned and photographed files, mostly information and photos we had never seen before. There was a huge paper copy of a spreadsheet with all of the family names and relationships listed. The sheet was about ten feet long. But it appeared that the person who did the sheet did not have the file available and also, had not entered the information into a genealogy program, where a nice chart could be made. There was a limited fan chart of the family with names pasted on that had been printed off from a word processing program. We talk a lot about collaboration with family members, but in our case, most of the information is locked up in single paper copies of vital records and journals. The family exhibited beautiful three ring binders with huge piles of documents, photos and other family information that were virtually impossible to share due to their size and the time limitations of the reunion. Collaboration is only a theory if the family members are not linked into preserving these documents digitally rather than by photocopies. It is obvious that there is a monumental amount of duplication of effort going on. In another unrelated example, I had a lady come into the Mesa Regional Family History Center carrying a yellow paper pad of handwritten notes. She had been looking at birth records from Maricopa County and getting information off of gravemarkers in the City Cemetery. She had absolutely no idea that all of the time she was spending was duplicating efforts that had already produced online copies of all the information she was looking for. 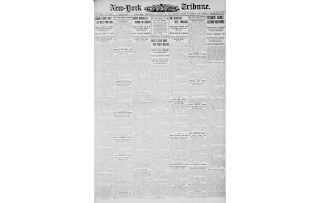 She came from a prominent Mesa pioneer family and it was almost certain that all of the information she had was already in New.FamilySearch.org or some other place with links and connections to other family members. I tried to help her to register for New.FamilySearch.org so she could see what had already been done, but I had no confidence she knew what I was talking about. Those of us who spend our days online assume that the whole world does also. We need to be aware that not all of our family members read our blogs and few if any know how to share electronically. 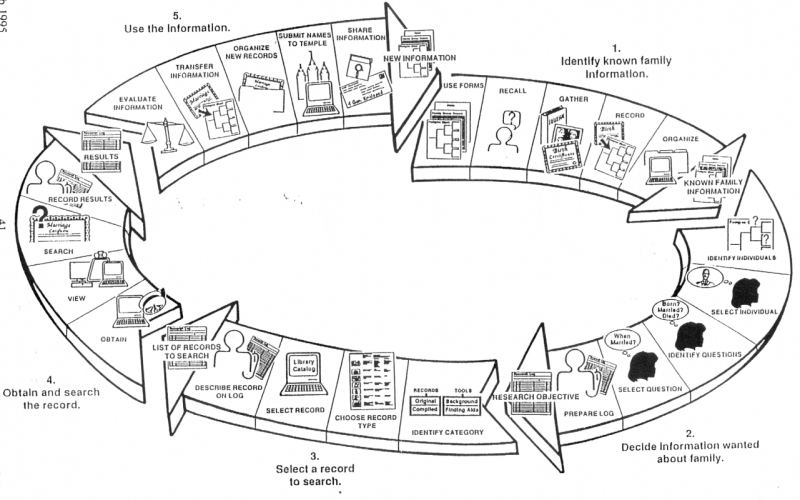 The Research Process Steps from the FamilySearch Research Wiki use under the Creative Commons License. Click on the image to enlarge it. When and where was the record created? Who provided the information for the record? How was the information recorded? How was the record preserved? What kind of information is missing or incomplete in the record? Are there any other records that are usually associated with the record? Which records came just before and after this record and would they give further information? Is the record part of a series of records that may contain further information about the family? Where are other associated records located? How reliable is the information contained in the record? What other information is suggested by the record but missing? I think you might get the point. I used to use a handout from the Family History Library with a list of many of the types of information you could use for research, i.e. birth, death, burial etc. with a suggested type of record to search. When I was starting out, this kind of list is helpful. I would suggest that today you can get the same kind of list by looking at the Research Wiki and thinking about the categories of records listed for any given location. Look at Illinois for an example. Too many of the researchers I see, find a record, copy it into their pile and move on without even spending a minute to think about what they have just found. Maybe there is a gold mine of information already in the documents you have copied? You might also want to look at Evaluate the Evidence in the Research Wiki. What are the basic software tools that are most useful to genealogists? If you have a limited budget what should be your priorities in purchasing software? Obviously, both of these questions are related. If you are going to purchase software, you certainly want to get the most useful programs. Since people vote for software based on usage and purchase, it should be fairly easy to determine the most useful programs. However, that is not necessarily the case. Let me give a couple of examples. I use a program from Adobe called Photoshop nearly every day. If you were to listen to me, I would tell you that Photoshop is an indispensable program. But there are a couple of things you should know; first, I am a professional level photographer and second, I have been using the program since it was first released. Why is that important to know? If you were to go out and purchase a copy of Adobe Photoshop CS5, the current version, it would cost you around $670 unless you qualify as a student or a teacher and then you might get the program for less than $200. If you purchase the whole CS5.5 Design Standard suite of programs together, Photoshop, Illustrator, InDesign, Acrobat, Bridge and Device Central, it would cost you more than $1,200. But if you need these programs you pay the price. Can you get it for less? You can buy Photoshop Elements, a program that will do what most people do with photo-editing software for around $80 or less. Another example, you can use a free software program such as OpenOffice for word processing, or you can use Microsoft Office, which includes Microsoft Word, for about $220. Making conclusions about the type of software genealogists need or use is starting to sound pretty difficult, especially if you talk about different brands of software. Let me be a little more general rather than specific. I would suggest that three types of programs are essential to a genealogist; a word processing program, a genealogical database and web browser. I am certain that nearly all genealogists, especially those who read this blog, already have all three types of software. Beyond these basic three, I would guess that you would have an e-mail program of some kind, perhaps a spreadsheet program and maybe, a presentation type program. If you use OpenOffice or Microsoft Office, you already have word processing, a presentation program and a spreadsheet. May I make some further suggestions. A photo storage and editing program such as Google's Picasa. If you store any images including photographs on your computer, you will enjoy using Picasa. If you want more features and a more powerful program, you might try Adobe Bridge or Light Room. Picasa is free, the Adobe programs are relatively expensive, however Bridge is included with a purchase of Photoshop. I already mentioned a photo editing program. Although Picasa has some basic tools, if you need more editing power, Photoshop is the ultimate, with a number of other software programs in that same category. While you are downloading free programs from Google, you might want Google Earth. This is not a complete duplicate of the Google Map program as it contains a huge amount of historical, cultural and other information along with the maps of the earth. Skype-- for online telephone calls, instant messaging and chat. Adobe InDesign for document layout, creating maps and producing business cards, brochures etc. iTunes for connecting to the Apple Store and for music and iPhone apps. Evernote for keeping notes on a variety of subjects and synchronizing them between devices. DropBox for transferring files between computers and other users. You may want an online service for storing and backing up your data. I hesitate to mention online or cloud computing programs because the offerings seem endless. Like I said, I could go on and on. If I were on an extremely limited budget, I would still buy the best genealogical database program I could find. I would then make do with free or low cost alternatives in all of the other categories. Just a thought. In genealogy, I do not what to imply that you couldn't benefit from buying any number of other wonderful programs. If you go to a genealogy conference you might find any number of programs that are irresistible. Please do not think that my mention of any one brand of program is an endorsement. You may find better alternatives. I recently had one of my readers mention a scanning program, VueScan, which I immediately purchased because I needed exactly the features that the program had. Rule No. One: (Not to be violated in any way, shape or form) Work from the known to the unknown. Rule No. Two: Focus on more recent sources and documents before you try to jump back in time. How many researchers think their work is done as soon as they find the family in the U.S. Census? Too many, that is for sure. By the way, Rule One and Rule Two are really saying the same thing. Let's think about a hypothetical situation. Mr. Brown wants to find his father who he never met or knew. His father abandoned his mother shortly after Brown was born and he has no idea where he went. Oh, yes, his mother is now dead. In this hypothetical case, we will assume that he knows his father's name and that he believes his parents were married. Obviously, there is a whole different issue if the unknown father really is unknown and the parents were never married. So what does Brown do? He spends all his time searching for the missing father. What should he do if he is following the first two rules? Look for information about his mother; letters, journals, newspaper articles, employment forms, school records etc. Also, he should talk to any surviving relatives about his mother and her family. Where did they live? Where did she go to school? etc. etc. Why would he need to do this? He is more likely to find references to his lost father from his mother's family than from unspecified sources in the public record repositories. The more he knows about his mother, the more likely it will be that he will find information about his lost father. Rule No. Three: Doubt everything. Even though Brown takes the time to find out what his living relatives know about his father, he should not believe any of it. However, he should record all of it and try to verify anything that might be significant. So how will he find his father? Likely from some source he never expected to look at or consult. We once found a missing uncle, who had disappeared years before and never contacted his family again, by the simple expedient of looking in the Social Security Death Index and then newspapers. But sometimes the search is not that simple. The rules for Brown in finding his father are the same no matter what the time period or how remote the ancestor. Don't skip over these basic rules. 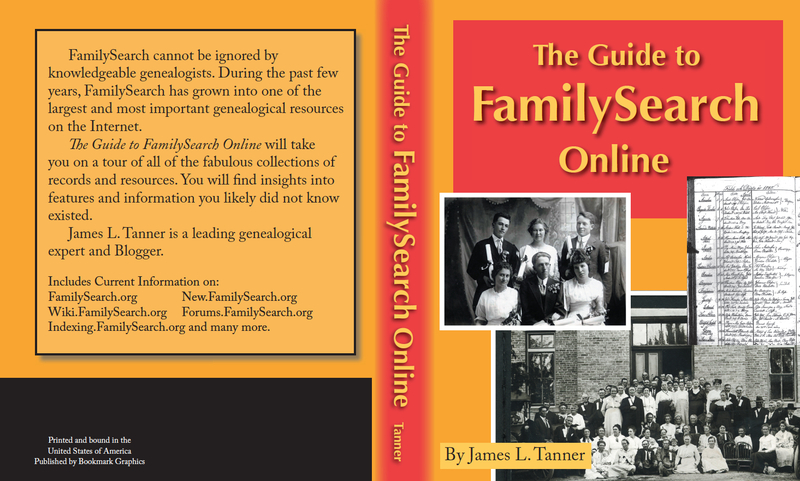 Leland Meitzler of Family Roots Publishing Co. has kindly agreed to sell my new book, The Guide to FamilySearch Online through his online bookstore and at the genealogy conferences he attends. He also did an extensive review of the book on his blog, GenealogyBlog. You may wish to read the review. Look for Leland at your next genealogy conference or go online and see the wonderful selection he has of genealogy related books. Some of these books are not easily available anywhere else. In addition, by purchasing books from Family Roots Publishing Co., you are supporting the genealogical community. Take some time to look at the large selection of books. Is genealogy just another market? We are all smothered in advertising. Almost everything we buy, even the produce at the market comes with some kind of label. To say that the communications channels are jammed with commercial advertising is a vast understatement. I am looking at my computer screen and see dozens of logos, ads and enticements to buy. Cars, buses, and buildings are plastered with advertising. Almost every app on my iPhone contains some kind of advertising message. Have you tried to buy your children or grandchildren clothes that don't have some kind of prominent logo? So are we, as genealogists, just another market segment and a very small one at that? If you go to a larger genealogy conference, a significant portion of the presenters are really selling something, a software program, a genealogy service or some other product. Even if the product is "free" whatever that means, you are still being sold something at every turn. So am I a part of the genealogy market? A consumer of genealogical products? Is there some marketing firm out there trying to figure out what it will take to entice me to spend money on their genealogical product? Of course there is. 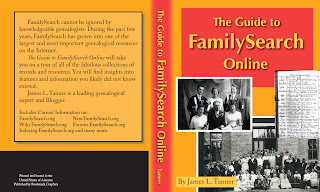 Even though my perception of the genealogical community is that they are one of the hardest markets to sell that you can imagine, products do survive and even prosper in the genealogical community and I have to admit that I am on the advertising bandwagon by trying to write and sell books about genealogy. So is this blog just a subversive front for an advertising scheme? Aha, now I have you in my clutches!! Hmm. Yes, genealogy is a market, just as fishermen, skateboarders, chess players, university professors, astronauts, and presidents of countries and everyone else in world are part of some market. Advertising and selling may not be bad, per se, but our reaction to advertising can be. You might notice that I said, "may not be bad." Some advertising is evil. People are trying to get you to do things or buy things that are not only against your best interests, but are destructive and can destroy your life. Fortunately, there is almost none of this in the genealogy community. Some genealogical products may not be exactly as advertised, but they are not harmful in any absolute sense. You can always argue that commercialism is bad, but most of the advances in our particular field have come about because someone wanted to sell something, even if the service or product was and is "free." So, we should be glad there are some people who want to sell things to the genealogists. If this were not the case, for example, we would not have the fabulous wealth of online database offerings. We would not have excellent programs for storing and organizing our family information. We would not have reference books and resources in abundance. None of these benefits would have come about without someone wanting to make a few dollars (or more) from genealogists. So what should be our attitude towards those who would market to genealogists? Should we think of them as a bothersome annoyance and ignore the ads and walk by the vendors at genealogy conferences? In my opinion, that is exactly the opposite of what we should do. I think we all need to be vitally interested in any new or better products offered to genealogical community. We can't buy every program or book or organizer, but we should still encourage anyone who wants to try to support the community with products. We should welcome the vendors at our conferences and be grateful that someone cares enough about genealogy to try to sell us something. Do what most of us do anyway, if you don't like the world's ads, then tune them out. But don't forget to tune them in when they deal with genealogy. In 1982, knowledgeable travel photographers detected that the National Geographic magazine cover contained a photograph that had been digitally altered. In fact, the editors of the magazine had moved one of the Pyramids of Giza in a horizontal photograph to fit the magazine's vertical format. See www.jkiel.com/comm7180/kiel_pyramid.pdf and many other sites and articles. Up until recently, the Arizona Highways magazine would not accept digital photographs. Now it is apparent that most of the photographs in the magazine come from digital images. In some cases, I can tell that the images have been altered in a photo editing program. Genealogists are likely to have or find old photographs, sometimes of family members, other times of various subjects, photos taken on vacations, for commercial purposes or other types of photos. Digitizing old photographs and photo restoration are frequent topics in print and at conferences. But the issue of altering history is hardly mentioned. If I had a history of an ancestor containing information I felt was objectionable, i.e. a criminal act, infidelity, poor grammar, poor choice of words, politically or racially insensitive statements, would I be justified in editing out the material I felt was undesirable? What if I do the same thing, only with an image? With today's digital tools I can literally re-write the visual past. Here is an example. Look closely at the two photographs. Do you see any differences? You can click on the image to get a larger view. Was it ethical for me to alter the photograph and thereby change history? Do you see the difference? I will give you a hint, one of the people in the first photo is missing in the second one. Now, if I were asked to determine whether or not the photograph had been digitally altered, could I do it? What if I were given the second photo and not even told that it had been altered? Could I prove in court that the second photo was not "accurate?" Why would I alter a photograph to take out a person? I can think of a lot of reasons, starting with long standing family feuds and going on to all the other issues we sometimes find in our family trees. Is it ethical for me to do so? What if I don't take out a person, but just freshen the people up a bit. Clear up their complexions and take out the teenage blemishes, it this ethical. If I had a bad complexion when I was a youth, should that information be hidden from future generations in the name of "restoration." What if I take a clearly damaged photograph and, in the name of restoration, put in a few of my own details in the damaged areas? Is that historically accurate or ethical? How is that different than what National Geographic did with the Pyramids? As genealogists we can get hyper over the lack of the proper citation, shouldn't we get more upset when photographic history is altered to serve our present likes and dislikes and prejudices? Perhaps the courses on photo editing or restoration should address the ethical and historical accuracy issues involved in making digital edits to photographs. Photo editing tools are extremely sophisticated. The average person likely has no clue that the images they see on TV and in print are far from accurate reproductions of the originals. In this sense, the modern camera does lie and lie in style.